“Crossroads kept believing in me even when I stopped believing in myself,” says Nyla. 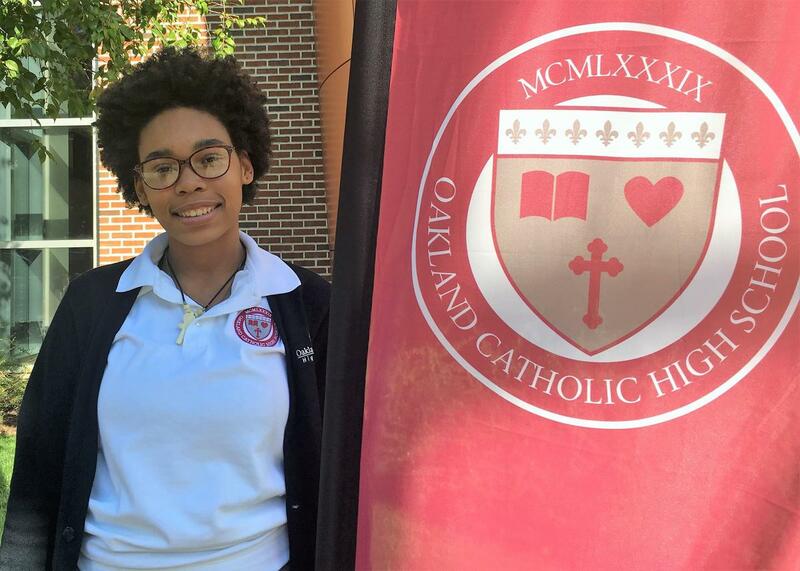 “No way would I be looking at the same future without them.” Read more about how your donations impacted Nyla & 130 other scholars last year. This September, Nyla wowed her Crossroads family when she became the first in our Class of 2019 to receive a college acceptance letter. That’s because Nyla had always assumed college was impossibly out of reach for her. Yes, we enabled her to attend a college-prep Catholic high school, but no one in her family had a degree, and affording one would also be a considerable challenge. For her Crossroads-funded SPICE program that summer, Nyla attended CSI Camp, which cemented her interest in pursuing a career in criminology. She also buckled down in her coursework junior year, improving her grades so dramatically that she earned herself a spot on Crossroads’ Silver Honor Roll. 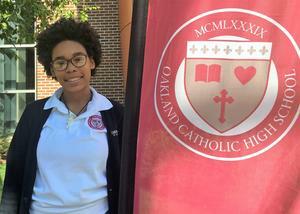 And to help ensure she would get into a college that offered a solid criminology program at an affordable cost, she applied early – and was accepted – to Indiana University of Pennsylvania. Nyla’s story is just one example of the 130 young lives your annual donations change for the better.